We sent Sian Neal, a Resourcing Specialist based at National Trust headquarters in Swindon, to find out what life at the Trust is really like for our Building Surveyors. Here she tells us what she discovered when she shadowed Christina Newnham, Building Surveyor for our Sherborne Park Estate portfolio in the South West region, for the morning. Breathing life into our properties; that's what really resonated with me when I spent the morning following Christina around some of the properties she cares for as part of the buildings team at Sherborne Park Estate in the South Gloucestershire area. 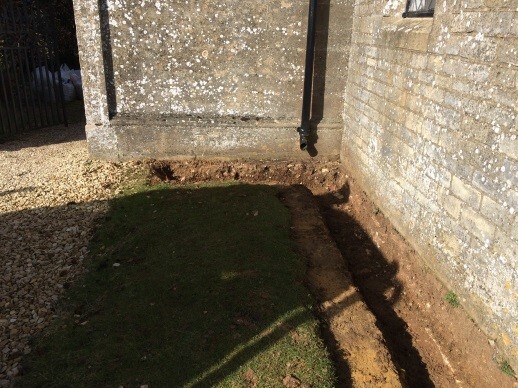 Christina was talking about how she felt when work was completed on the gatekeeper cottages at Sherborne Park, where earth around the properties had, over time, built up against the external walls causing damp and damage to the interior of the cottages. Christina and the team moved the earth by creating a trench around the property, allowing the buildings to dry out and to protect them from further future damage, or in Christina’s words, “allowing them to breathe after so long”. It was clear to me from the short time I spent with Christina, that one element of working as a Building Surveyor at the National Trust which makes her job so special, is working with the mandate of ‘for ever, for everyone’. As a Building Surveyor, her work is never completely done, and if we are to conserve and maintain the buildings forever, then the decisions we make on which materials to use, or which building technique we employ, needs to stand the test of time and ensure the future of the buildings. As a special treat, I got to visit Arlington Row with Christina, another property in her portfolio. These stunning cottages are one of the oldest, if not the oldest, residential properties in the UK - Christina called them the world’s first barn conversion, given that they were converted from a monastic wool store, originally built in 1380, and converted to residential housing in the 17th century. The beautiful cottages continue to keep the team busy with regular maintenance needed, including substantial roof work to be started in the near future. 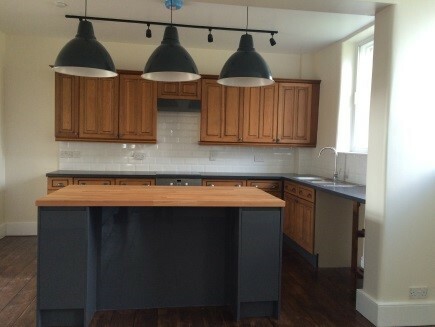 But it’s not just the ancient buildings that keep Christina busy, I had a tour of the refurbished tenant buildings on the Sherborne estate, it was great to see these old buildings given a face lift and being prepped ready for a new generation of home makers to breathe life into the redundant old buildings on the estate. And that’s the point of being a Building Surveyor at the National Trust. We all know about the curators and the house teams who tell the stories of our historic properties, but it’s the buildings team who ensure these buildings can carry on breathing so that there are more stories to tell in future.